Tutorial-format guides to basic tools, features, and extensions of SketchUp 2017. Printable PDF format. 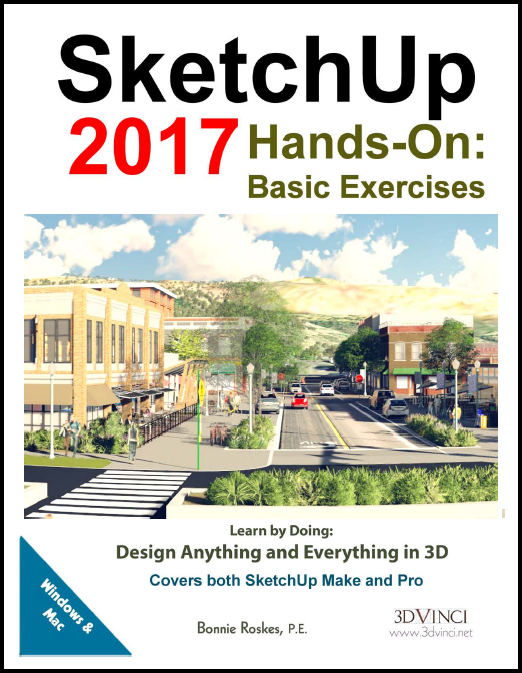 Tutorial-format guides to basic tools, features, and extensions of SketchUp 2017. Printed in color. 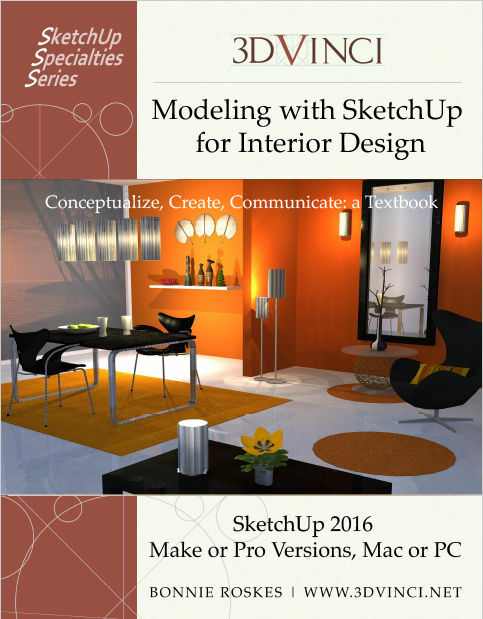 Tutorial-format guides to advanced tools and features of SketchUp 2016. Printable PDF format. 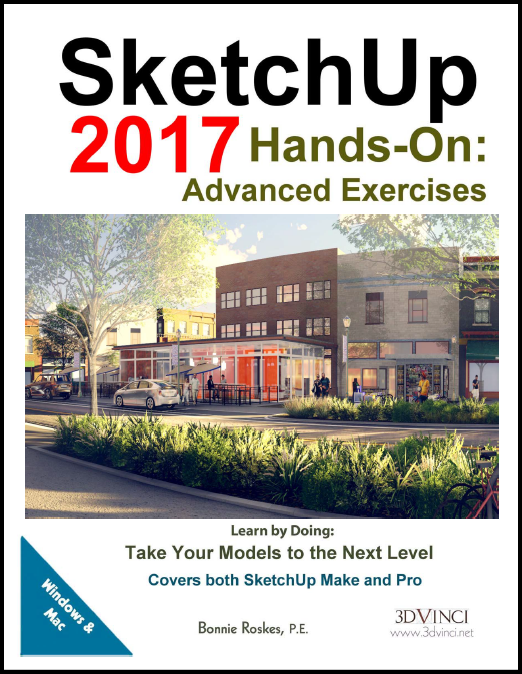 Tutorial-format guides to advanced tools and features of SketchUp 2017. Printed in color. Tutorial-format guides to basic tools, features, and extensions of SketchUp 2016. Printable PDF format. 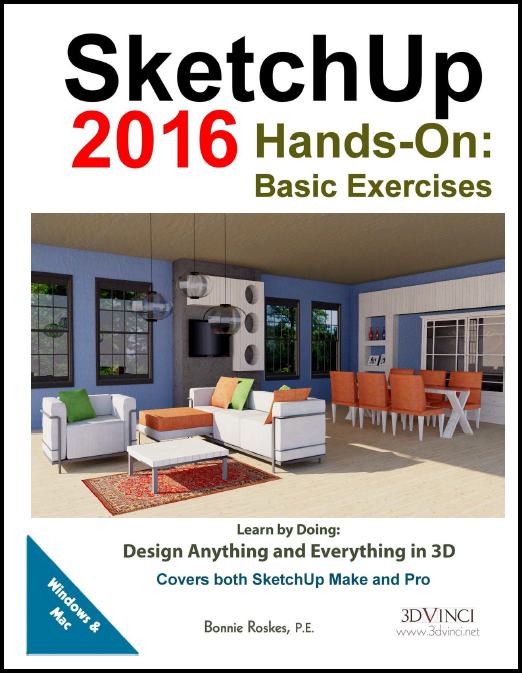 Tutorial-format guides to basic tools, features, and extensions of SketchUp 2016. Printed in color. 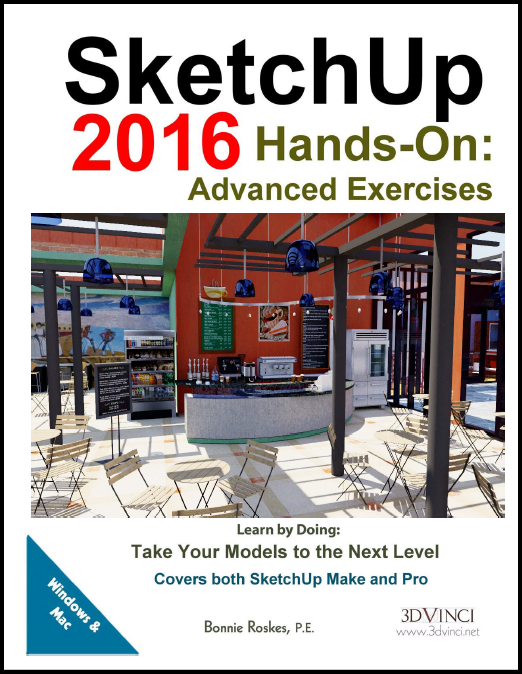 Tutorial-format guides to advanced tools and features of SketchUp 2016. Printed in color. Tutorial-format guide to all tools and features of LayOut 2015, the presentation application included with Sketchup 2015 Pro. Printed in full color, paperback. 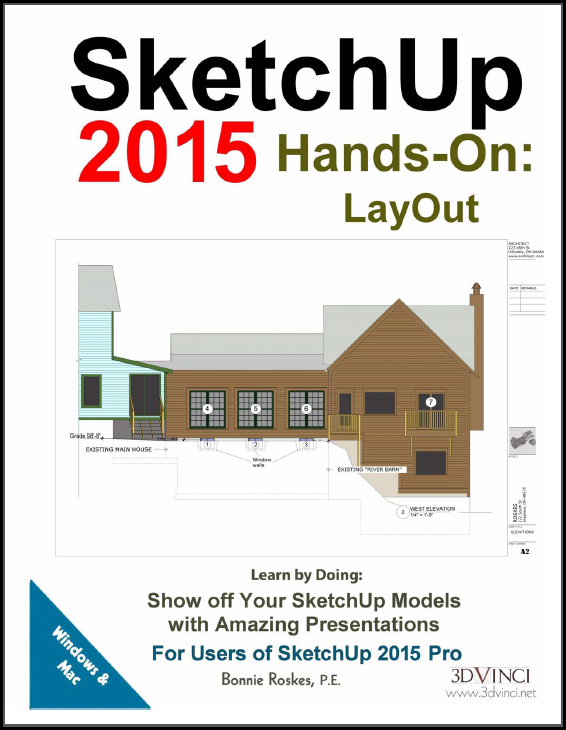 Tutorial-format guides to advanced tools and features of SketchUp 2015. Printable, unlocked PDF format. 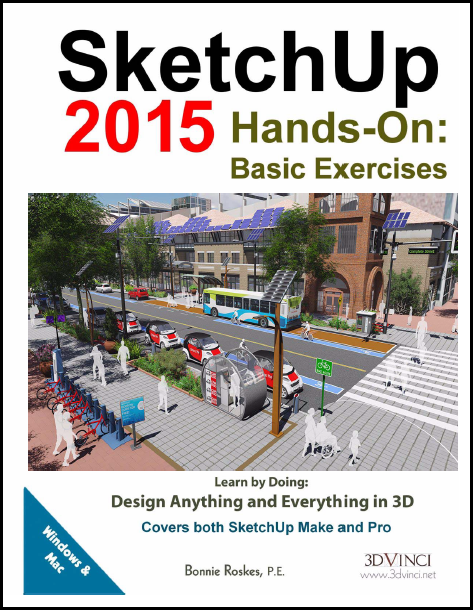 Tutorial-format guides to basic tools, features, and plugins of SketchUp 2015. Printable PDF format. 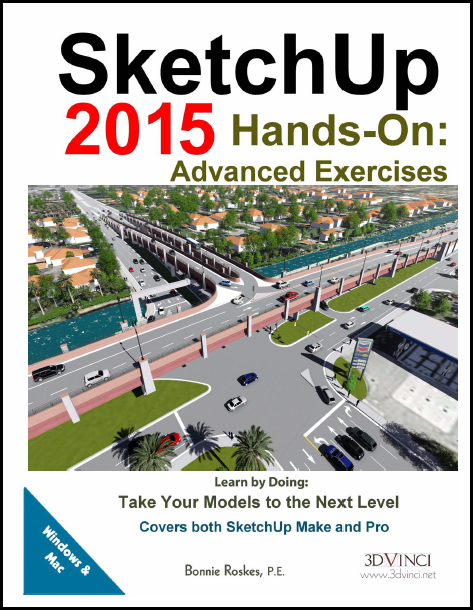 Tutorial-format guides to basic tools, features, and plugins of SketchUp 2015. Printed in color. 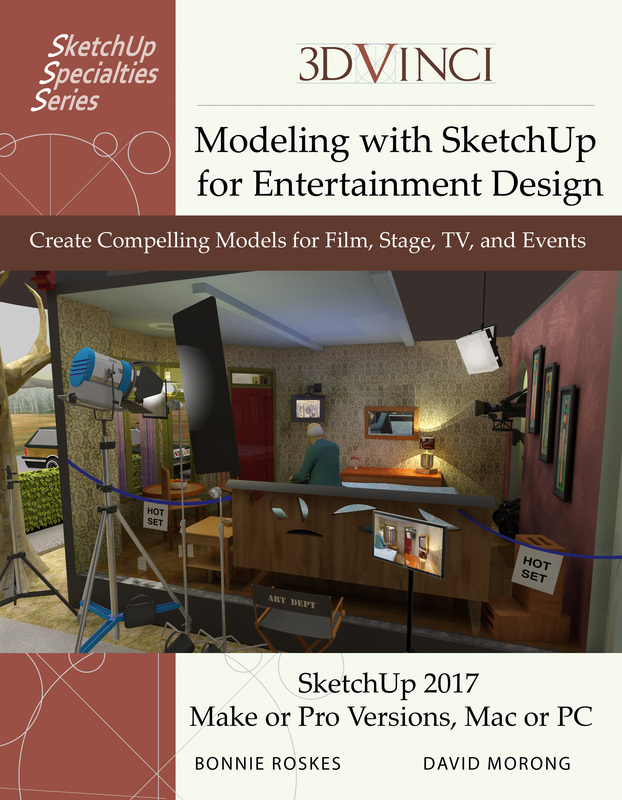 The complete set (Basic and Advanced Exercises): Tutorial-format guides to all tools and features of SketchUp 2015, including plugins. Printed in color. 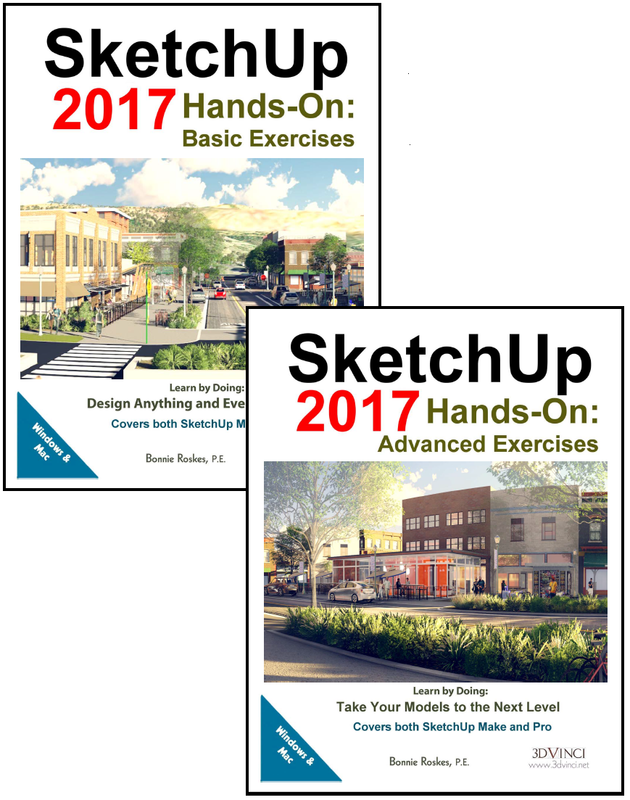 The complete set (Basic and Advanced Exercises): Tutorial-format guides to all tools and features of SketchUp 2014, including plugins. Printable PDF format. 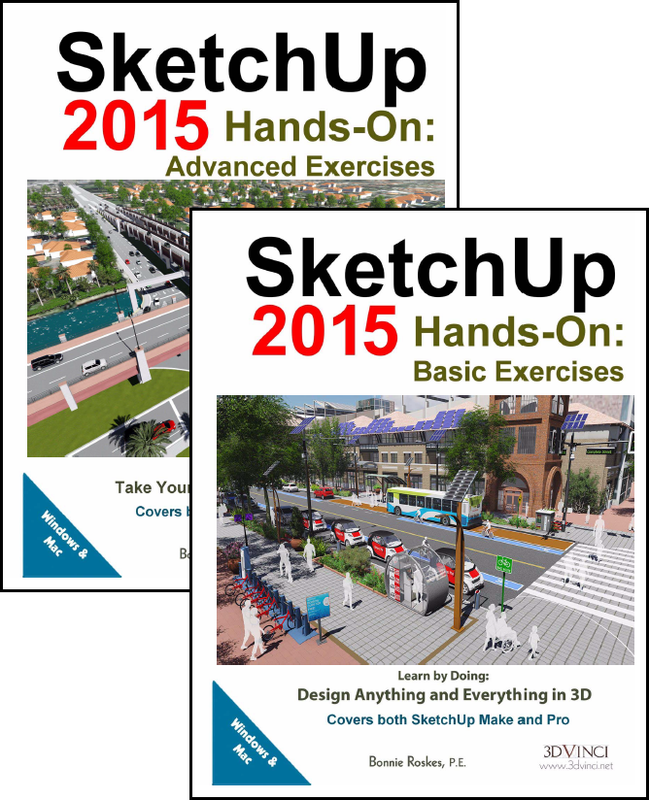 The complete set (Basic and Advanced Exercises): Tutorial-format guides to all tools and features of SketchUp 2013, including plugins. Printed in color. 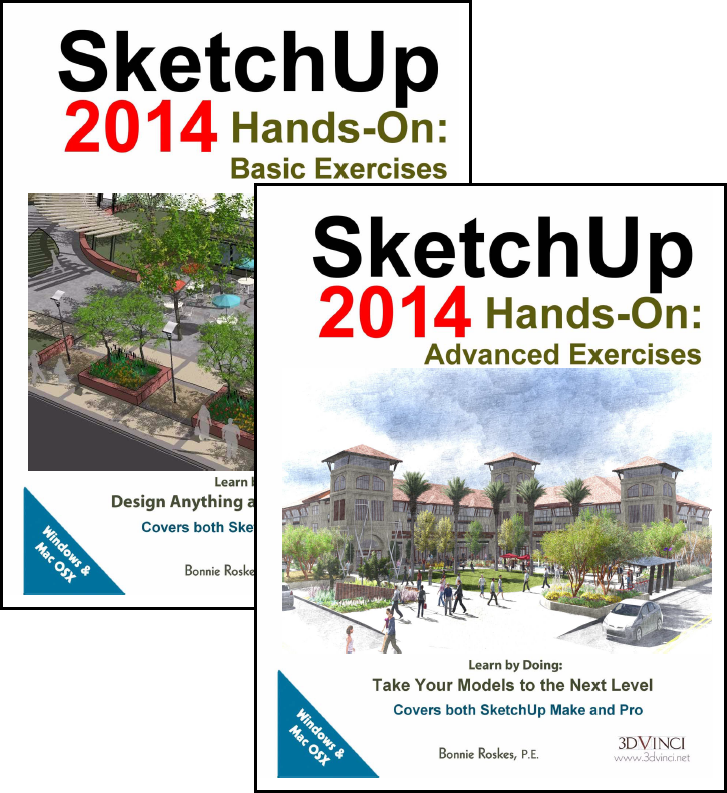 Tutorial-format guides to basic tools, features, and plugins of SketchUp 2014. Printable PDF format. 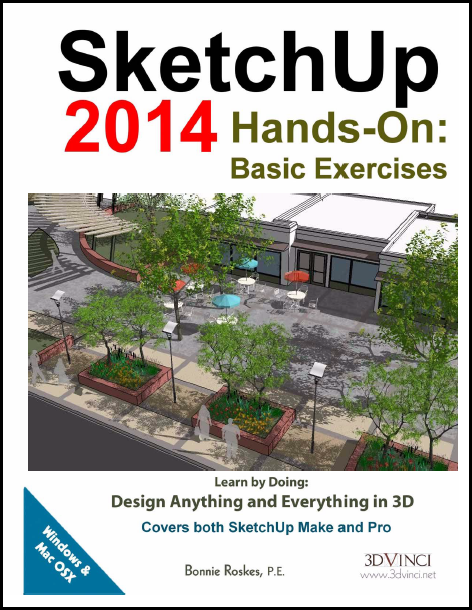 Tutorial-format guides to basic tools, features, and plugins of SketchUp 2014. Printed in color. Tutorial-format guides to advanced tools and features of SketchUp 2014. Printable, unlocked PDF format. 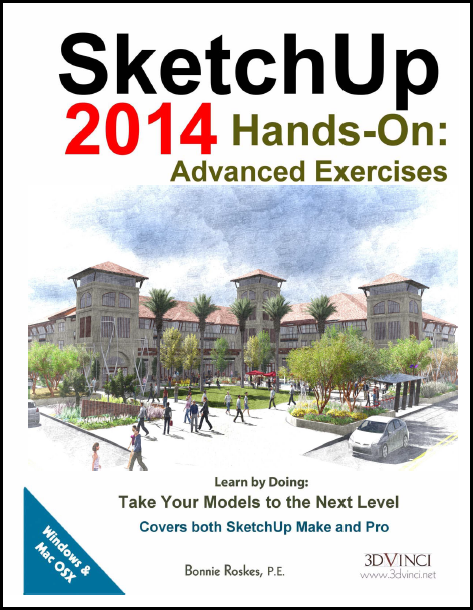 Tutorial-format guides to advanced tools and features of SketchUp 2014. Printed in color. 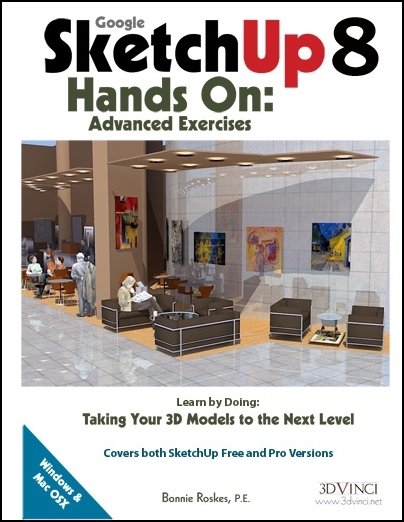 The complete set (Basic and Advanced Exercises): Tutorial-format guides to all tools and features of SketchUp 2013, including plugins. Printable, unlocked PDF format. 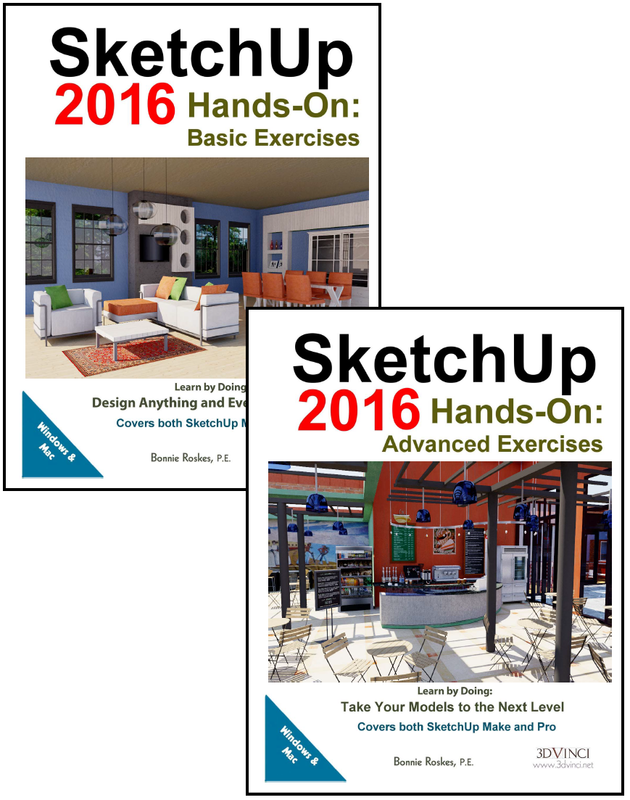 The complete set (Basic and Advanced Exercises): Tutorial-format guides to all tools and features of SketchUp 2013, including plugins. Printable, unlocked PDF format. Printed in color! 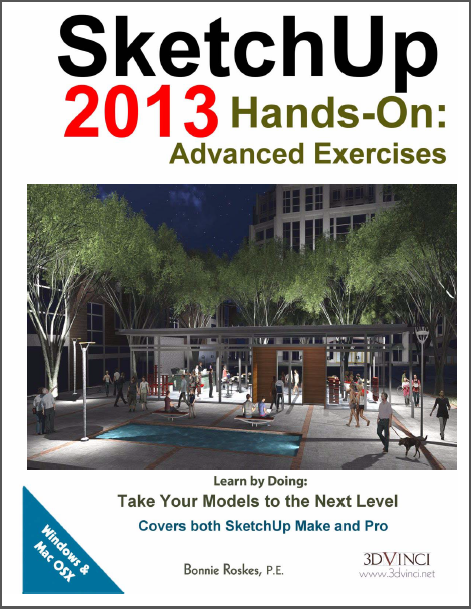 Tutorial-format guides to basic tools, features, and plugins of SketchUp 2013. Printable, unlocked PDF format. 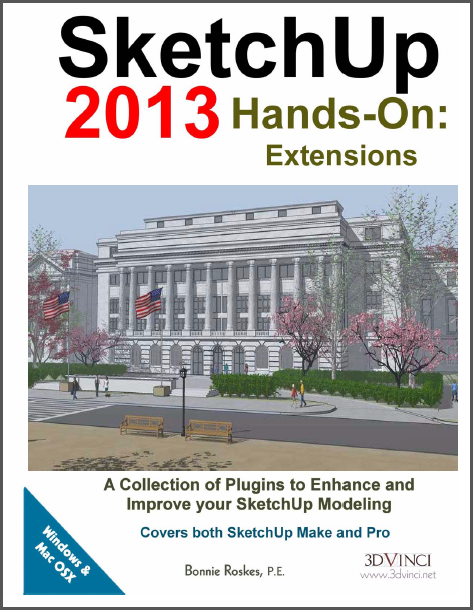 Tutorial-format guides to basic tools, features, and plugins of SketchUp 2013. Printed in color! 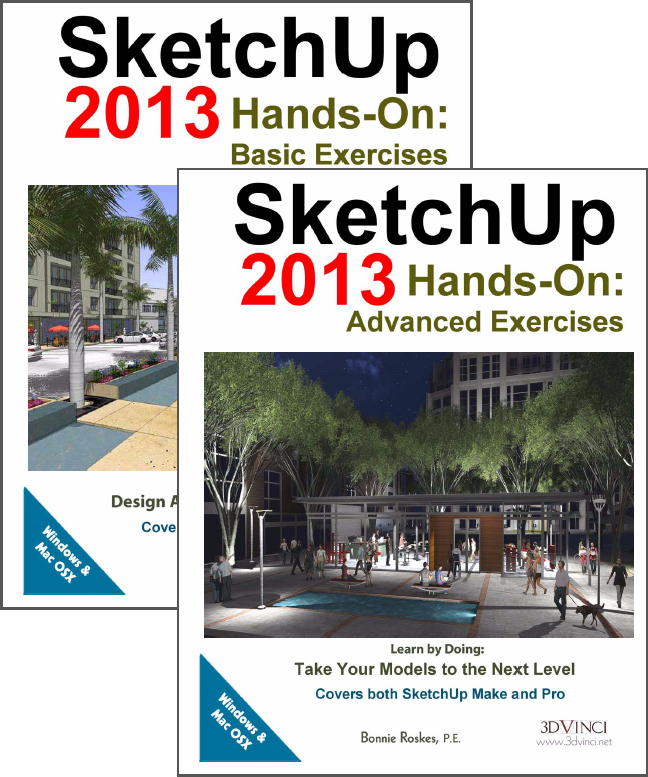 Tutorial-format guides to advanced tools and features of SketchUp 2013. Printable, unlocked PDF format. 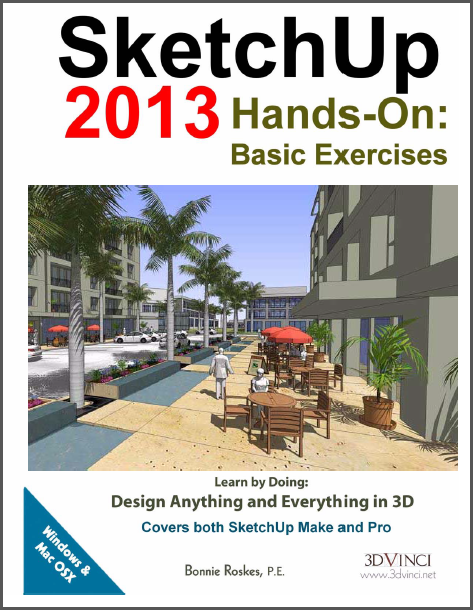 Tutorial-format guides to advanced tools and features of SketchUp 2013. Printed in color. Covering what's new between SketchUp 8 and 2013, this tutorial-format guide details over 35 of the most popular and useful SketchUp plugins. Printable, unlocked PDF format. Covering what's new between SketchUp 8 and 2013, this tutorial-format guide details over 35 of the most popular and useful SketchUp plugins. Printed in color. 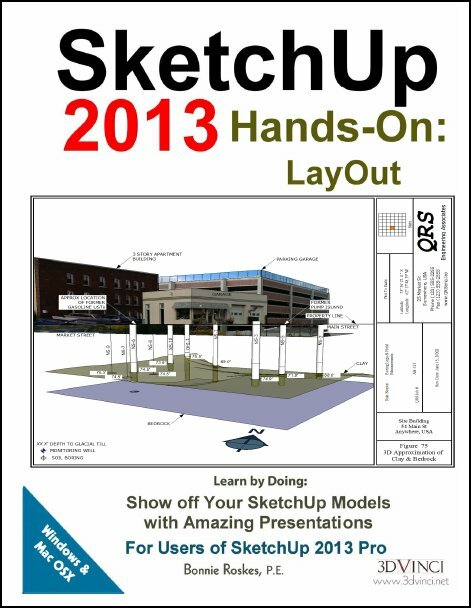 Tutorial-format guide to all tools and features of LayOut 2013, the presentation application included with Sketchup 2013 Pro. Printable PDF format. Make models that move! 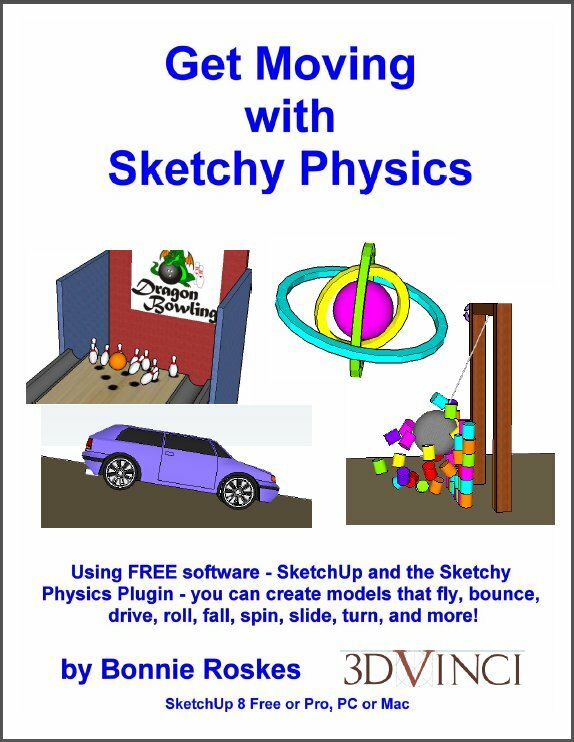 This book teaches the basics of using the free Sketchy Physics plugin, to make SketchUp objects that fall, fly, slide, spin, turn, crash, bounce, and more. Note: Sketchy Physics currently works with SketchUp 8, not with later versions. 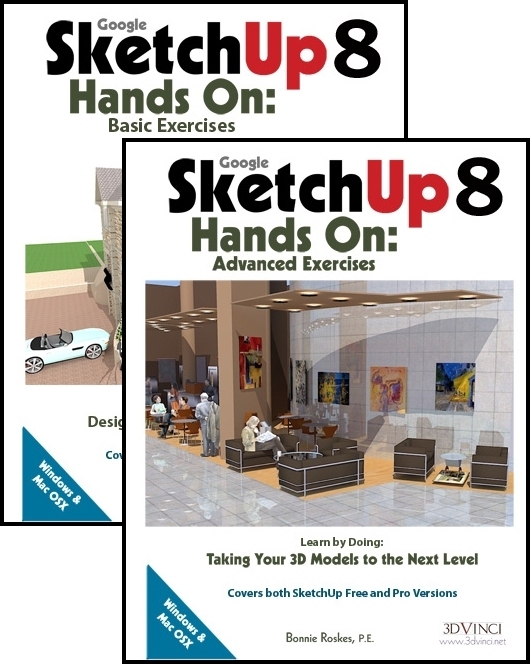 The complete set (Basic and Advanced Exercises): Tutorial-format guides to all tools and features of Google SketchUp 8. Printable PDF format. 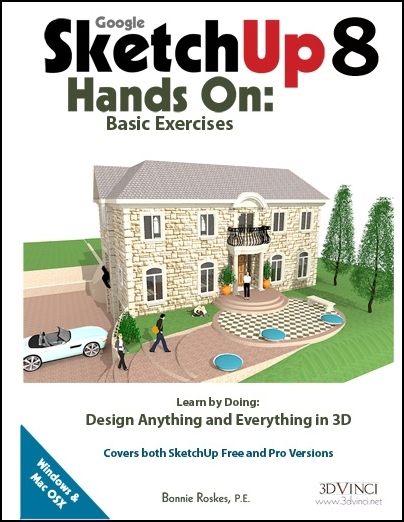 The complete set (Basic and Advanced Exercises): Tutorial-format guides to all tools and features of Google SketchUp 8. Printed in color! Tutorial-format guides to basic tools and features of Google SketchUp 8. Printable PDF format. Tutorial-format guides to basic tools and features of Google SketchUp 8. Printed in color! Tutorial-format guides to advanced tools and features of Google SketchUp 8. Printable PDF format. Tutorial-format guides to advanced tools and features of Google SketchUp 8. 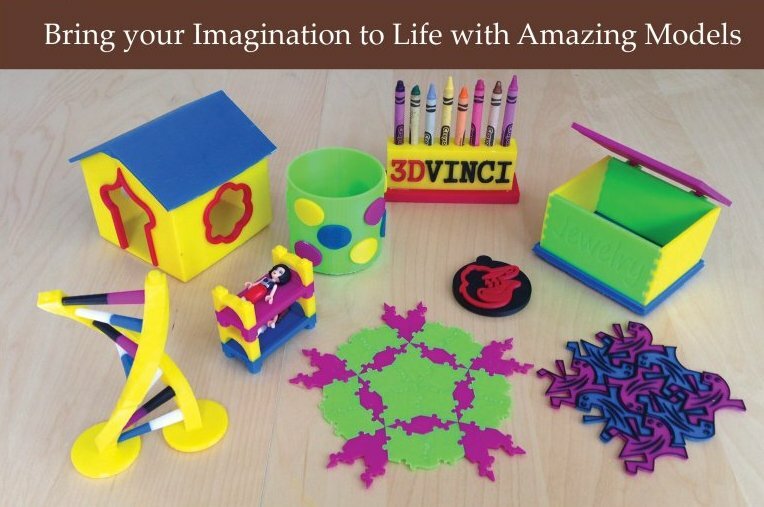 Printed in color! 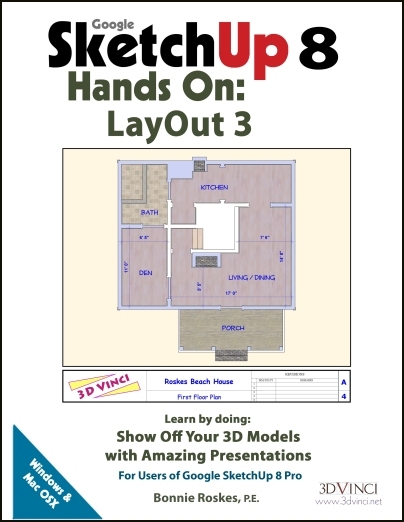 Tutorial-format guide to all tools and features of LayOut 3, the presentation application included with Google Sketchup Pro. Printable PDF format.